Like these decals? Brew City Beer Gear will have these mini bumper stickers available at their shop in the Milwaukee Public Market. Last updated April 14, 2019 at 9:56 a.m. Note: The contents of this guide were checked for accuracy when this article was updated on April 14, 2019 at 9:56 a.m. We continually update the thousands of articles on OnMilwaukee.com, but it's possible some details, specials and offers may have changed. As always, we recommend you call first if you have specific questions for the businesses mentioned in the guide. The best day of the year for Milwaukeeans near and far is just around the corner. That's right! Once again, this Sunday we celebrate Milwaukee Day and pay homage to the qualities that make this city great. And isn't it perfect that our Bucks start their playoff stand the very same day?! 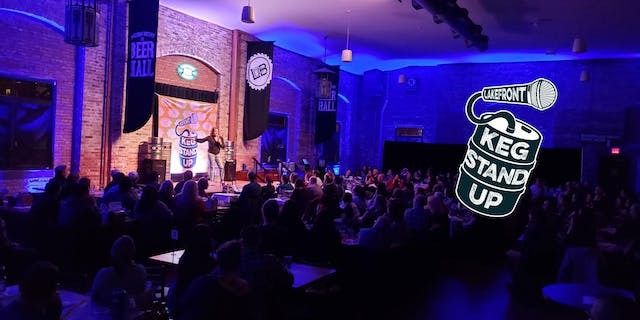 Ahead of a weekend full of shenanigans, below are some great events to show off your MKE pride. SunDay FunDay! 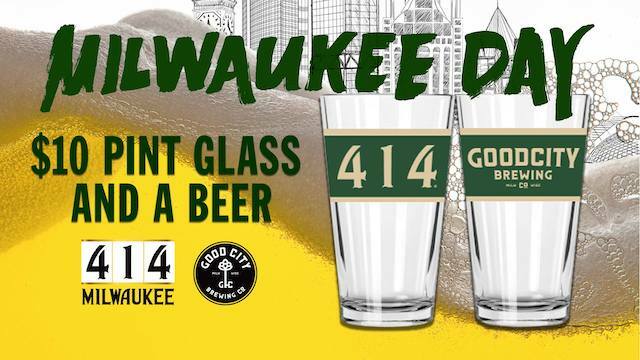 The Bottle - 1753 S Kinnickinnic Ave.
414 Day, $4.14 Deals The Brass Tap - 7808 W Layton Ave.
Cactus Club - 2496 S Wentworth Ave.
Game 1 Viewing Party Deer District/Fiserv Forum - 1111 Vel R. Phillips Ave. 6 p.m. Have you been trying to score Bucks tickets all season and come up short? Not to worry! 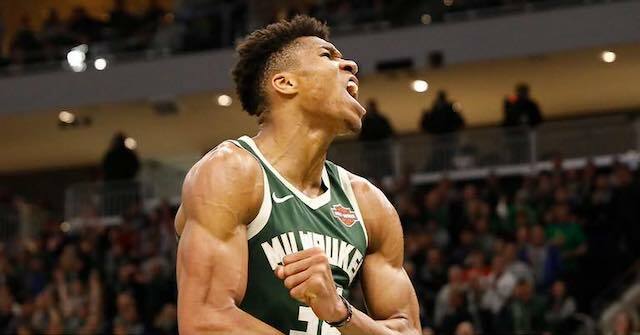 Starting Sunday, Fiserv Forum will be erecting a 40 ft. screen and streaming every game our boys get to in the playoffs. With the addition of The MECCA sports bar and Drink Wisconsinbly Pub, the entertainment block will be buzzing these next weeks! 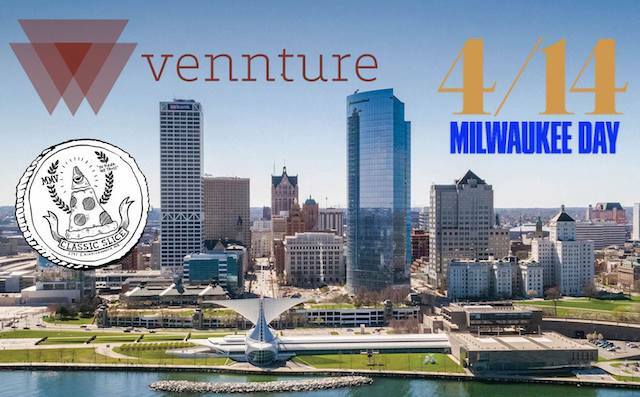 414 Day Market at Milwaukee Makers Market Discovery World - 500 N Harbor Dr.
10 a.m. - 4 p.m. Discovery World transforms their promenade into a lively market, your one-stop-shop for locally made products. Support independent artisans, designers, and jewelry and get to know artists in the community. Free admission unless attending the rest of the museum. Good City Brewing (East Side) - 2108 N Farwell Ave. Historic Milwaukee, Inc. - 235 E Michigan St.
Are your walls empty? Is your home lacking some Brew City Flair? Historic Milwaukee has all your needs cover with a poster sale on the best day of the year! 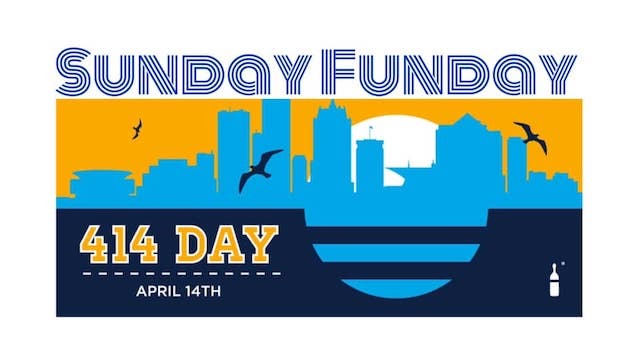 BOGO Pints on Milwaukee Day Lakefront Brewery - 1872 N Commerce St.
Keg Stand Up Lakefront Brewery - 1872 N Commerce St. 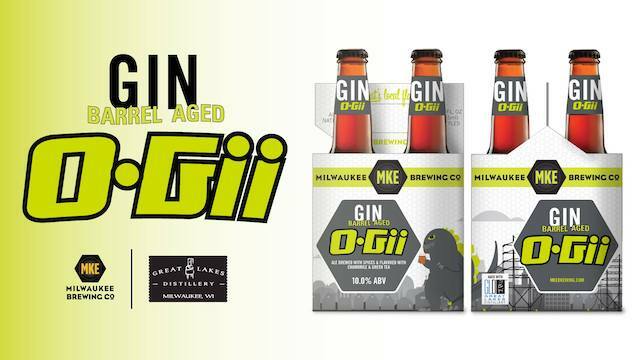 Gin O-Gii Release Milwaukee Brewing Company (9th Street) - 1128 N 9th St.
As part of a yearly tradition, MKE Brewing releases their Gin Barrel Aged O-Gii imperial wit on 414 Day. This collaboration with Milwaukee's own Rishi Tea was a gold medal winner at the 2018 World Beer Cup and we can't be happier that Brew City is flexing its muscles! MilwaukeeHome - 907 W National Ave. In the spirit of Milwaukee Day, MilwaukeeHome is offering 14% off the entire store. Additionally, the first 14 customers who spend $14 or more will get a free gift with purchase! Celebrate the holiday with new apparel supporting the city we call home. 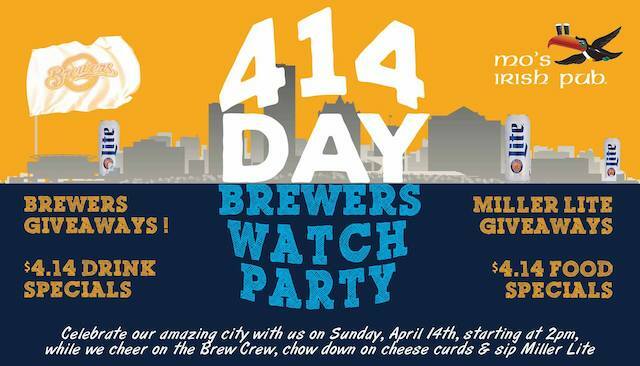 Mo's Irish Pub - 142 W Wisconsin Ave.
Mo's is celebrating 414 Day by cheering on our favorite MLB team. They'll have Brewers giveaways, along with the Miller Lite team here passing out swag! $4.14 food and drink specials will be available. 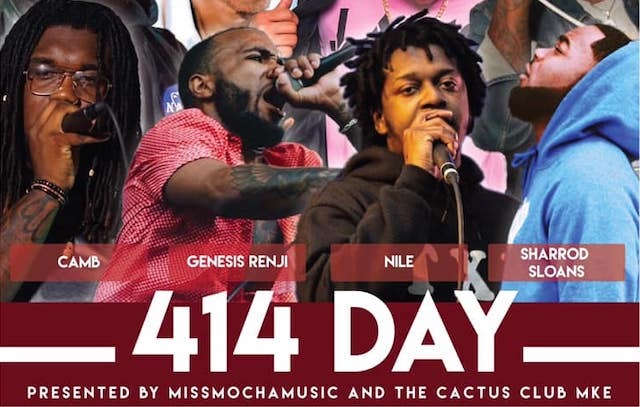 2019 Milwaukee Day Party! 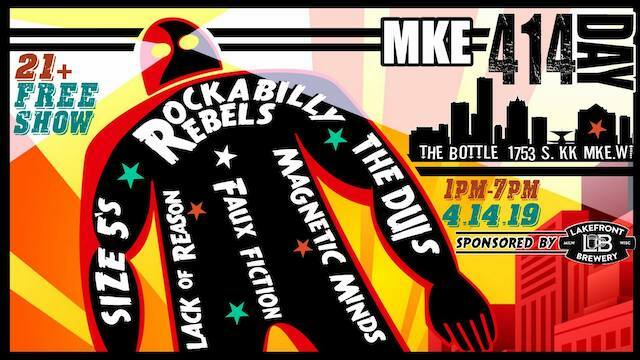 Pabst Milwaukee Brewery & Taproom - 1037 W Juneau Ave.
Join Breaking and Entering for an afternoon of great music. Tigernite, Midwest Death Rattle, and Beach Static are ready to rock the house! But the party doesn't stop there: BestFriends hosts an afterparty sure to get you movin'! Palomino Bar - 2491 S Superior St.
10 a.m. - 10 p.m. Local drafts and cocktails are on tap as well as fresh cheese curds from Clock Shadow Creamery. Are you feeling lucky? Stop in at Palomino Bar, SmallPie, or Honeypie Cafe and purchase one of many Milwaukee-made items for a chance to win a variety of prizes. Enter into a drawing that features gift cards, fresh pies, and tickets to a beer class or whisky session. The Milbillies with Beaumont James & The Wild Claims Riverwest Public House - 815 E Locust St.
Be prepared for a rockin' shindig at this Riverwest staple! More updates to come on the Facebook event page. The Sugar Maple - 441 E Lincoln Ave.
Two Milwaukee favorites combine forces under one roof. Choose from one of Vennture's exclusive taps and get a free zesty slice of 'za! MKE Local Market Pop Up Third Branch Creative Studio - 133 W Pittsburg Ave. Discover art and a variety of crafts from 20 vendors for a Milwaukee Day not to forget. $3 admission, free for children. Stick around for your chance at the raffle and fill up on food and beverage provided by DRIFT MKE. Urban Harvest Brewing Company - 1024 S 5th St.
UHBC will be hosting $3 deals on their 414 Golden Ale. A match made in heaven, and Cream City! Walker's Pint - 818 S 2nd St.
More live tunes are coming your way if you head down to Walker's Pint. No cover, and there's a special for $2.50 PBR tallboys. Great music, great times!